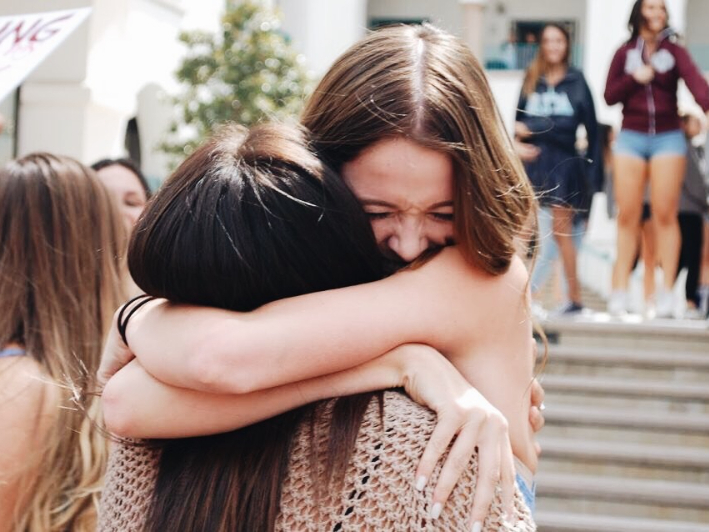 The kappa Delta “Shamrock” philanthropy is our biggest national philanthropy. It is a project we put on once a year with much preparation and enthusiasm. Shamrock is a way for us to give back to the community and raise money for Prevent Child Abuse America, as well as Olive Crest, the local foster center we proudly support. On the 16th of March, the Beta Rho chapter of Kappa Delta Sorority at San Diego State hosted their 4th annual “Shamrock & Run”. Beta Rho’s “Shamrock Run” was a 5k walk/run held at a local cove by the beautiful beaches of San Diego. Registration for the run was $20, guaranteeing participants a T-shirt, free lunch, and raffle ticket. We hosted a kids “fun run” after the walk as well, making it an event for all ages! Participants were able to register online atwww.shamrockrun.info, which was created specifically for the event so that registration could be a simple process for the participants. Feel free to check it out! With much publicity throughout the campus and community, over 500 people were able to show their support at our event. With total sponsorships, donations, and registration fees, the Beta Rho chapter raised over $20,000! It was a fun-filled day for community members of all ages.